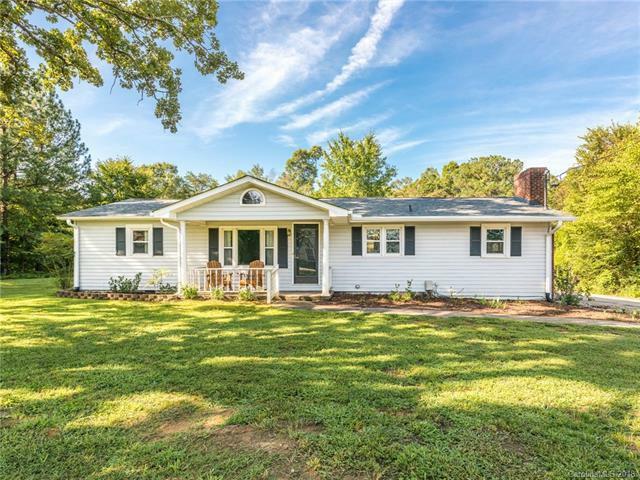 Ranch style home sitting on over half an acre of land. 3 BR and 1 BA. Open concept kitchen and dining area. Step down to the family room with wood-burning fireplace. Level lot and wooded for added privacy. Spacious carport. 3 sheds/outbuildings for added storage: 2 of the buildings have power. The smallest building contains the well pump and also has some storage, lights and outlets. The largest outbuilding is insulated, has power and attic storage which makes it a perfect space for a workshop.